September 2017 – Beauty, Curls and Flip Flops! Avon is making changes in 2017! New Year, New You, NEW AVON! One of the spectacular changes is True Color – a makeup that won’t let you down! Why is True Color any different than any other makeup? Avon has made True Color Technology available in all your favorite makeup products! LIpstick, lip gloss, eyeshadow and nail polish are all part of the True Color family that blends rich pigments to create colors that are vibrant, accurate and reliable. Women want to feel beautiful and radiant! True Color comes in and delivers that product with the promise to perform up to Avon’s reputation. Click here to begin your Avon adventure with me! Becoming an Avon Representative takes a lot of commitment but not a lot of money! Three easy steps and you are on your way to success! 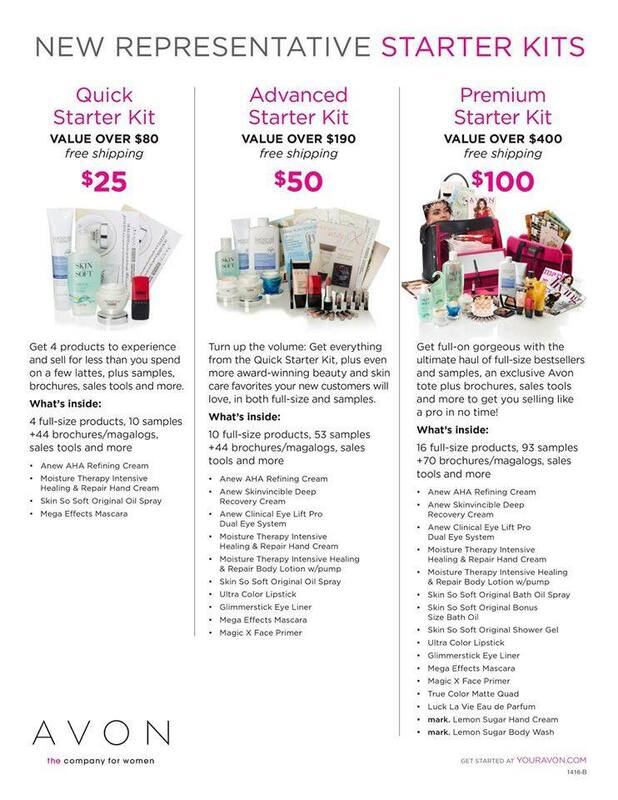 Check out the differences in the starter kits – choose which level of commitment you have toward being in business for yourself (but never by yourself!)! Register your eStore and begin sharing! Being an Avon Representative is not only for financial benefit. The fun, friends and encouragement received from other reps is amazing! 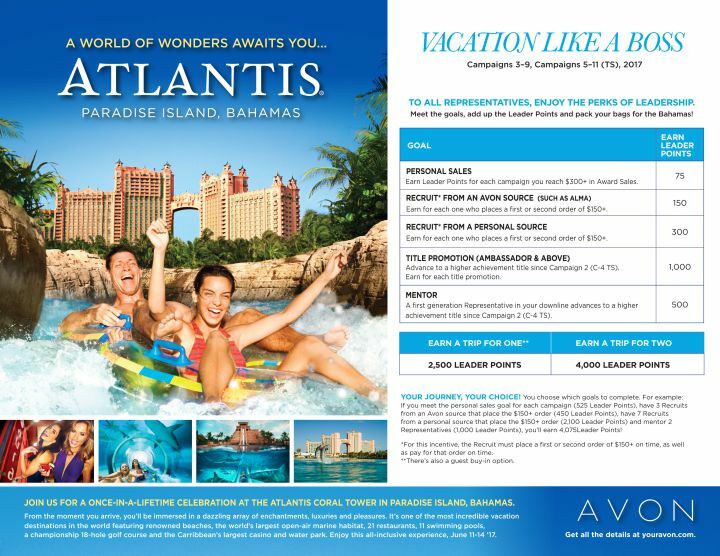 Avon also gives great incentives for the reps – most recently is Atlantis Vacation Like A Boss! An all expenses paid vacation just for working the business and bettering yourself! Where can you go wrong?